Jason Wing: Not a curator, a collector of people. – the 107 blog. Jason Wing: Not a curator, a collector of people. 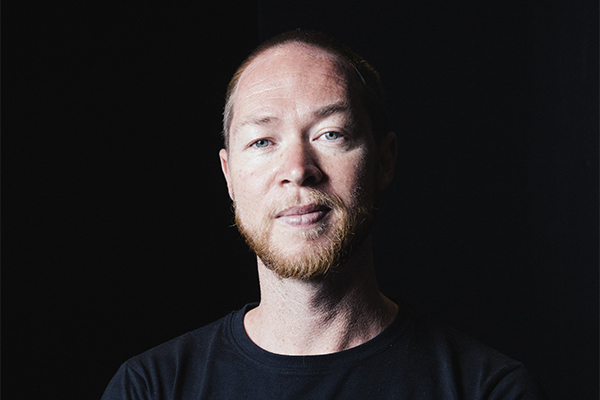 To celebrate the opening of our first exhibition for 2017, Blak Mirror, we sat down with its curator, Jason Wing, to talk about life, his influences, and what he has learnt in the process. Blak Mirror is the culmination of 107’s inaugural artist residency grant, made possible through the generosity of private donors. I am a multi disciplinary artist, with Chinese, Aboriginal, Scottish and Australian heritage. I am a visual artist and focus on social justice challenges. What are some of the themes that shape your work? I highlight ongoing mistreatment of Aboriginal people and discuss issues that often are not spoken about, such as the impact on traditional customs due to westernisation and gentrification, offering alternative Australian histories and more. Can you tell me about your childhood, growing up with Aboriginal and Chinese influences? I felt very privileged to have blood and culture from two of the oldest living cultures of the world. My cultures and influences have shaped me personally, professionally, culturally and artistically. I was afforded a very privileged childhood and I make sure that I contribute to my cultures as a result. You are the first recipient of our Artist in Residency grant – what has your experience with 107 been so far? It is a great opportunity for me to expand my art career by supporting emerging artists and arts workers, as was done for me by my mentors and supporters. I would not have the career I have had without someone believing in me and supporting me, so it is fantastic that I can return this support as a curator – or as I like to call myself a facilitator and people collector. 107 is the perfect launch pad and a safe place to take risks and experiment. The staff have been extremely professional and have been teaching me many things. The space is a very professional space and the location is amazing. Redfern is the best place to exhibit contemporary and gritty Aboriginal work. What was your curatorial approach to the Blak Mirror exhibition? I consider myself a facilitator rather than a curator. I feel curating is a highly specialised skill which I do not yet possess. Opportunities like 107 help develop my skills with experience. I am a collector of people. My approach is to choose the people first, and the work follows. I choose people who live their politics and solidarity. I also focus on emerging artists in hope to propel their careers to the next level. I choose artists who seduce people with their visual aesthetic then punch the audience in the face with their artist statements. Still from Talking to a brick wall, Nicole Monks (2016), to be exhibited as part of Blak Mirror. What do you hope people get out of it? Personally I receive a lot of satisfaction from nurturing, mentoring and promoting emerging artists as was done for me. Our culture is based on sharing everything for the benefit of our entire community. Culturally we must share our resources, knowledge, contacts, opportunities, skills, secrets, experience and more in a non-hierarchical way. I hope that the non-Aboriginal audience will be able to consider the world through Aboriginal eyes as much as possible. This may help non-Aboriginal people to understand the challenges and strength of being Aboriginal today through the lens of the next wave of Aboriginal people. Can you tell us about some of the artists and why you chose them to be involved? I want to support local NSW artists, regional artists (Mudgee) remote artists (Uluru) and interstate artists (TAS). I feel it is important to expose people to a variety of artists to break up the Sydney centric art scene. I chose artists who are emerging in their career, except for Adam Hill, Billy Cooley and Lulu Cooley. My favourite artwork in the world is my Billy Cooley Punu Snake. I was lucky enough to sit with Billy and Lulu and watch them finish my snake over the fire in Mutitjulu. If my house was on fire I would grab this one object. This was the starting point. Myself and the selected artists possess all of the qualities of the serpent: the ultimate survivors in all landscapes and climates. Serpents have been demonised and misunderstood due to negative propaganda and historically dominant literature such as the bible. The artists I have selected navigate their path between two or more worlds and dimensions in a peaceful, respectful, cultural, sophisticated, educated and loving way, but if we are stepped on we will strike with lighting power and speed. I wanted to talk to you about your work Australia was Stolen by Armed Robbery. Do you yourself remember learning the narrative that Australia was ‘discovered’ and peacefully colonised in school? If so, how did that match with your own understanding at the time? I was taught at school that Captain Cook discovered Australia. I knew that this was not the truth. I created an artwork to tell the truth. The title of the original artwork was “Australia was Stolen by Armed Robbery”. It was a bust of Captain Cook with a balaclava on his head. There was quite a lot of controversy surrounding the work. Some of that criticism was aimed at you as a light skinned Aboriginal man. How did that feel? I am criticised by non-Aboriginal people but it really hurts when Aboriginal people criticise me due to my skin colour. It saddens me to say that I receive more racism from the black community. I see this as an opportunity to educate both Aboriginal and non-Aboriginal people about the spectrum of Aboriginality and remind them of the official government policy of assimilation which was designed to breed out blackness genetically over many generations. I am used to it now and I just continue to fight for our culture regardless by inspiring the younger generation to keep fighting for justice and against the mistreatment of all minority groups. You received hate mail and death threats after that exhibition. How do you deal with that? I took snapshots of the hate mail on social media then turned them into embossed prints and sold the series to the National Gallery of Australia. It is always best to turn a negative into a positive. I use inspiration from current Australian society. Image credit Jason Wing, House Wigger (2014). What keeps you going in the face of so much anger? Our culture is the oldest living culture in the world and it was based not on anger – that’s a white thing. Our culture focuses on sharing, giving, teaching, song, dance, and art. Anger only fosters anger. Its ok to be angry. It is how one deals with it that benefits our goals of our community. Who influences you? Who do you look up to? Everything influences me. Nature, social justice, Aboriginal, Chinese and Australian culture, snakes, hope for a better world. I am inspired by our old people, Banksy, Guan Wei, Ai Weiwei, snakes, Jonathan Jones, David Attenborough, Lindy Lee and many more. See more of Jason’s work at jasonwing.net. Blak Mirror opens Wednesday Jan 18, 6-9pm. It is free to view in the gallery until Sunday Jan 29. Read more on our website.